It's Jaime to the rescue! The holiday season is notably brighter with the arrival of Angels and Magpies. 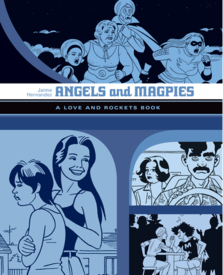 The latest in the uniform softcover edition of Love and Rockets brings together the meta-comics masterwork, God and Science and the unparalleled presentation of the processes of character formation, fate and destiny that is The Love Bunglers, in which readers are offered the opportunity to gaze into their own souls through the mirror of Maggie Chascarrillo. 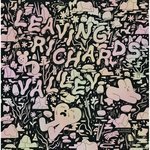 PLUS: the hard to find story, "La Maggie la Loca / Gold Diggers of 1969", from the long out of print Love and Rockets v.2 #20!